The Northern Territory Government is helping to create a brand new cultural institution for Darwin, unveiling plans today for a dedicated art gallery in the city's historic Chan Building. Chief Minister Adam Giles and Arts Minister Gary Higgins joined Museum and Art Gallery of the Northern Territory (MAGNT) board chair, Allan Myers AO QC, to announce the $18.3 million project. “The redevelopment of this space is being jointly funded by the Territory Government via its Budget 2015 and generous contributions from external private sources,” Mr Giles said. “This fantastic building is in a prime position for tourists and locals to access, but it has sat idle and neglected for too long. It’s a travesty and we plan to put this right. The Chan Building will be turned into a state of the art exhibition space and will include a café and retail space, bringing more people into the centre of the city". The Chan is a building with a rich history as a former home for the Territory Parliament. Wonderful how freeing MAGNT from the bureaucratic hands of the NT Government and enticing the influential Allan Myers – Melbourne lawyer, Northern property man and Chair as well of the National Gallery and the Grattan Institute – to Chair an independent Board has enlivened the old institution that always had divided loyalties as a natural history museum and an art gallery. “His clear view is that the government retains the duty to pay for the running costs if it acknowledges the need for such an institution in the community. “But the art has to be provided by the people, I believe”, he said. “And, while the current building (a $10 taxi-ride from Darwin’s CBD on a splendid water-side setting) is the perfect place for a natural history museum (which MAGNT also is), the art needs a permanent and separate building of its own in the town centre, where people – locals and tourists – can value it alongside the institutions of government. Only then can it really collect, conserve and display the art that can serve to illuminate life for viewers”. OK – we won't be getting those marvellous boards this year – but 2016??? Arts Minister Gary Higgins added that the Chan Building will become a downtown campus for MAGNT and will act as a permanent home for visual arts in the CBD. “The possibilities are endless and exciting,” he said. 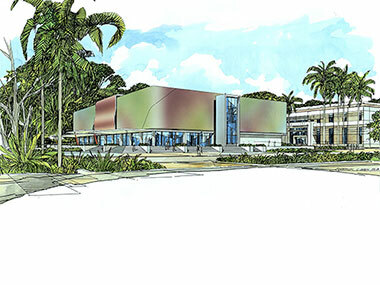 “It will provide state-of-the-art space for prestigious collections as well as national touring exhibitions. MAGNT at Bullocky Point will continue to present natural science exhibitions, as well as redeveloping galleries to feature Territory history and Cyclone Tracy, with a substantial anchor exhibition of Indigenous art continuing to be a focal point of the location". MAGNT currently receives more than 200,000 visitors a year, but they anticipate a great deal more people benefiting from this new, strategic location. "This expansion plan for MAGNT comes at a crucial time in our museum's history and will mark a turning point in its development," assessed Chairman Myers. No chance of the Chan coming into being in time for this year's NATSIAAs - opening August 7th; but it looks good for 2016. The unbeatable sunset from the grounds of MAGNT at Bullocky Point, which we may have to learn to live without!